Carragher: "There's no David Silva or Bernardo Silva or a player like that in the squad." Jamie Carragher and Graeme Souness believe Liverpool should look to sign a creative central midfielder in the January transfer window. 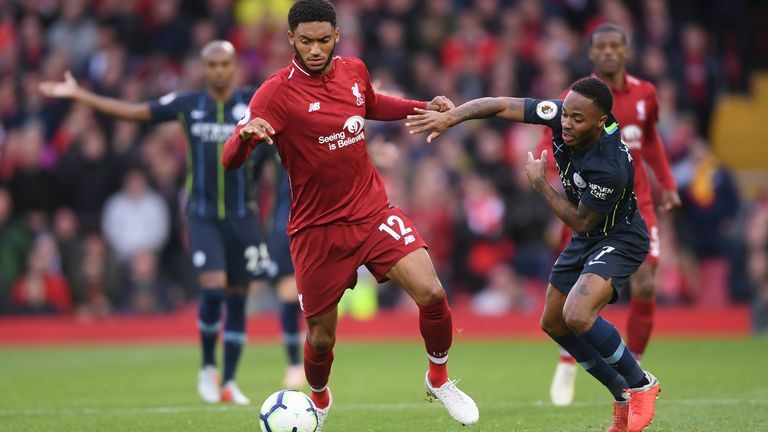 Liverpool drew 0-0 with Manchester City on Super Sunday to continue their unbeaten start to the season in a game of few chances. The tightly-contested clash was largely played in midfield with Jurgen Klopp's side having two shots on target at Anfield, and it is in the central area where Carragher and Souness think Liverpool could do with a creative player if they are to compete for the title this season. "If Liverpool are in a really good position in January, I think they've got to be looking to address that [midfield area]," Carragher said post-match. "Even if Alex Oxlade-Chamberlain comes back, [Naby] Keita goes in or Fabinho goes in they are all the same. Liverpool don't play with a No 10, but there's no David Silva or Bernardo Silva or a player like that in the squad. Liverpool signed Xherdan Shaqiri in the summer from Stoke City and he was an unused substitute against City, but Souness echoed the thoughts of Carragher, saying: "In the summer Liverpool signed Fabinho, signed Keita and also tried to sign [Nabil] Fekir from Lyon. I think that tells you how Jurgen sees their midfield. "I look at Liverpool's midfield and I bet they are three great lads, who work their socks off but they just haven't got that little bit of quality in games like this to look one way and deliver a pass the other way. "I think the very fact that Jurgen signed two and tried to get three shows you they are a bit short there. I think that showed at times today when they were dominant and had a lot of the ball. The danger is, when you try to go for more quality, you might not get someone who puts the same shift in. "That's the balancing act. Jurgen likes to call it 'rock and roll football' with high tempo and high intensity. Would you get that from someone who's got a bit more class?"